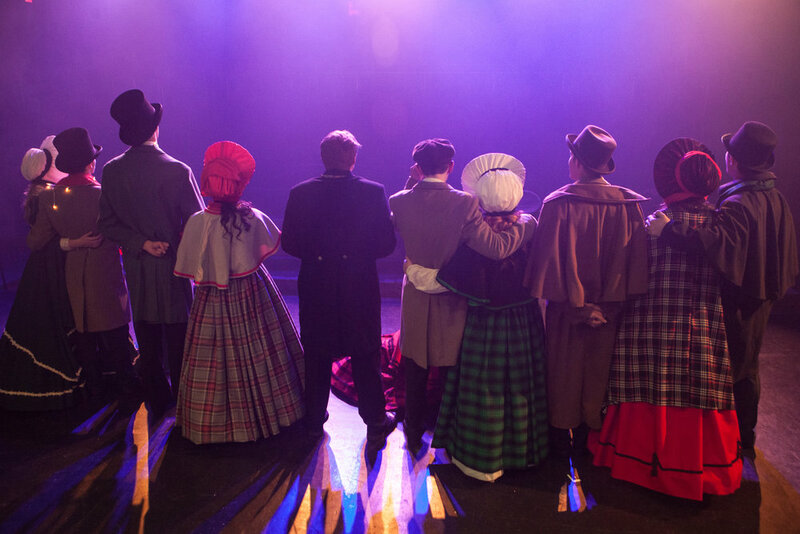 In 2015, I was approached by Brian Johnson to adapt Dickens’ famous Christmas story in the style of two productions of mine that Brian had seen and admired—Our Town and Three Sisters. It was a commission for Brian’s extraordinary high school theater program, La Habra Theater Guild. The version of A Christmas Carol I wrote for Brian ended up being about a young group of actors trying to stage a traditional Christmas Carol, being thwarted in a million ways, then nevertheless pulling it off—thanks to a Christmas miracle, of course. The show has become a holiday tradition at La Habra and continues to be performed annually!